It’s safe to say that it’s been a brutal winter. Record cold temperatures and snowfall have made life miserable for those living on the east coast and in the Midwest in particular. While we all look forward to the coming of spring, there is one final kick from Old Man Winter that many of us will experience: funny tasting drinking water, courtesy of runoff from the aforementioned record snowfalls. In the video above, Missouri reporter Jessica Quick shares a story that will likely be told in several cities over the next few weeks. While the funny tasting drinking water is, in most cases, safe to drink – it is certainly not a pleasant way to mark the new season. 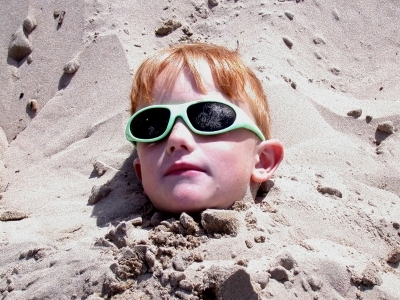 If you are among those impacted by funny tasting drinking water this spring, I encourage you to visit our site or contact our customer service department at 1-888-801-PURE (7873) for filtration options that can help reduce the unpleasant water odors and tastes that will be a big part of life over the next several weeks. In response to a massive chemical spill and corresponding contamination of the region’s drinking water, West Virginia Delegate Stephen Skinner, D-Jefferson, introduced a bill earlier this week to create the “Citizen Enforcement of Clean Water Act.” The law would empower the area’s citizens to sue any person or entity, including the government, to enforce regulations to protect natural resources. Learn more about the potential impact of this bill in the story reported by The Journal, above. Wilmington, North Carolina is just one of several cities and townships – from Charleston, West Virginia to New York City – that is dealing with what you would think would be avoidable water contamination issues. 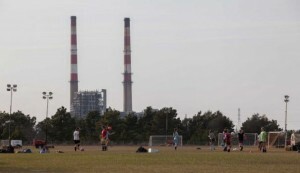 This time around, the contaminant is coal ash from a facility operated by Duke Energy, seen in the image above, just a short distance from an active soccer field. Learn more about this all too common issue, and what Duke Energy is doing to help alleviate contamination concerns, in the story above published by the Houston Chronicle. 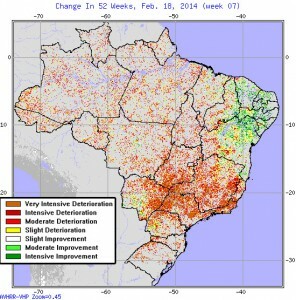 Could Brazilian Drought Foreshadow Rough Decades Ahead? In Brazil, more than 140 cities are implementing water rationing, in response to an epic drought that is impacting the country’s critical agricultural activity. More than just a concern for today, some analysts are warning that climate projections signify that this may become an ongoing issue, severely impacting the world’s largest exporter of coffee, sugar, oranges, soy and cattle. Water purification remains a critical area of opportunity in third world countries, particularly in the Philippines, where drinking water was just one of the resources recently ravaged by the effects of Typhoon Haiyan. This week, it was reported that engineering students at Gulliver Preparatory School in South Florida were lending their abilities to help by creating water purification systems to send to Samar, in the Philippines. Read more above. What does it take to reduce more than 99% of E. Coli from drinking water? Apparently, little more than the sapwood in tree branches, per a report from researchers at MIT this week. Learn about this exciting new development that’s equal parts MIT and Boy Scouts above. As explained by author and UC Berkeley Professor David Sedlak, the clean water we get, and often take for granted, is nothing short of a marvel of modern engineering. In his fascinating new book, Sedlak shares both the history of, and proposed future shape of, city water systems. 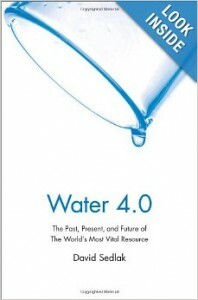 A must read for anyone working in or fascinated by the engineering behind water distribution. Win A Hand-Held Baby Shower Filter At Belly Ballot! This week, we are happy to partner with Belly Ballot as we give away a hand-held baby shower filter – pictured below – to one lucky winner! See contest and product details at the link above and get ready to win this perfect gift or purchase for any new parent! Our thanks go out to Finance & Commerce who this week named WaterFilters.NET as a Progress Minnesota Honoree for 2014. Learn more about this award, and see who we are happy to share the honor with, in the link above. Next week, one lucky winner will take home a hand-held baby shower filter from WaterFilters.NET, awarded as part of our partnership with Belly Ballot. But in the event that you aren’t that one lucky winner, there’s no reason to be discouraged. We have plenty to go around! This filter cleans a baby’s skin with the softest and gentlest water imaginable. Easily attaches to both a kitchen faucet or shower arm. 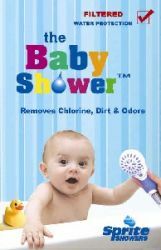 A perfect addition to the home of any new parent and a great shower gift! 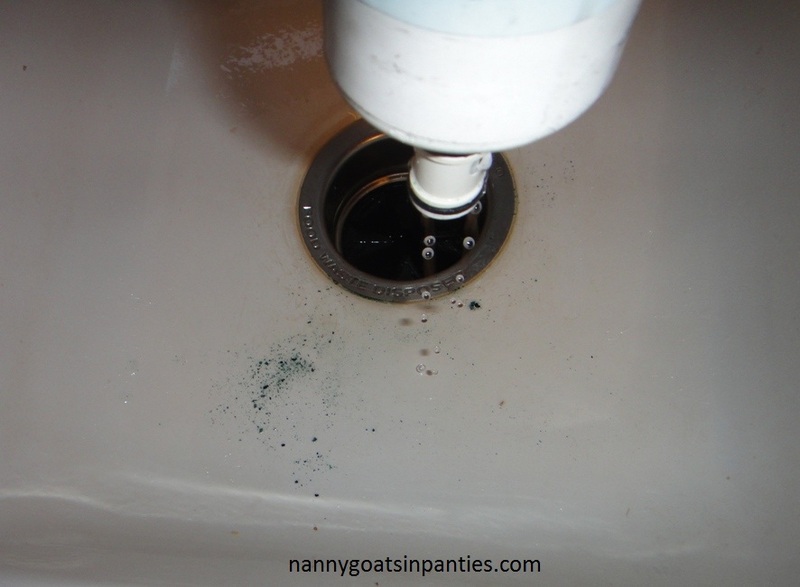 Next post: How Often Should I Change My Well Water Filter?